Autonomous Plants are driving again! 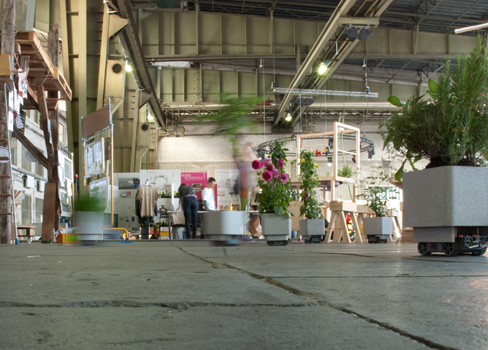 With a improved-pot design, and new software they were on show at DMY Berlin 2012. Still not finished as a product, but as a research project. Autonomous Plants 2012 is a co-operation between plant and robot. The plant is a sensor for the robot (Input), and the robot makes it move (Output). Through the combination of programming and sensor-data the plants are able to react autonomously. They scan their environment in search of movement, people, and other autonomous plants.